I love springtime, not just because of spring break vacation or all of the sports and dance activities we have. The best part of spring to me is the weather. This post is sponsored by Black Forest®. Opinions are 100% my own. rigorous, having fun together and creating memories is the entire point of doing this. easy and everyone will have an enjoyable time. 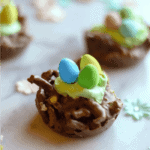 Some of these ideas are something you can even fit in on a busy school night! By quickly throwing together a few things together plus a small snack, you’re set and ready to spend quality time together. We love playing board games, we are all a wee-bit competitive so of course, we lean towards games that there is a clear winner. Some of the classics we enjoy, like board games that my husband and I grew up playing, but ultimately there needs to be a winner. Cards are a fun alternative because, well my kids are sharks, not kidding. Playing games that allow for some strategy and maybe some speed skills, we all love them. It doesn’t hurt to have a prize at the end or a fun snack to enjoy while we are playing. Not only do we have our to-go-to games but snacks as well. Our favorite prize is Black Forest Classic Gummy Bears and popcorn! These juicy snacks made with fruit juice and colors from a real source are a favorite in our home. In fact, one of my kids loves them so much he recently hid them in his backpack so that she could keep them as her treat, not sharing with anyone else. Set up a table, making sure each person has their own chair, drink and bowl for popcorn and gummy bears. Choose a game master, to run the table and organize everyone playing. Set a time limit, so that there are clear expectations for everyone, especially those teens. Put away all electronic devices, unless needed for the game, so that everyone can connect. This is my kids’ favorite family activity to do outside together. Now, I am more of a fan for a family walk but the kids think that walking takes too long. Therefore, we always end up riding bikes. During the summer this is great we can ride to the neighborhood pool, which makes for two fun active things to do together. Tips for riding bikes as a family. Find a bike trail nearby, the best resource to use is your city or county Parks & Rec site. Put a parent at the front of the line, then the other at the back. If my husband or I are gone, we have our oldest take the lead. love packing these because they don’t take up much room & I can literally just throw them in a small bag with 1-2 water bottles. I mentioned that I love going on family walks. 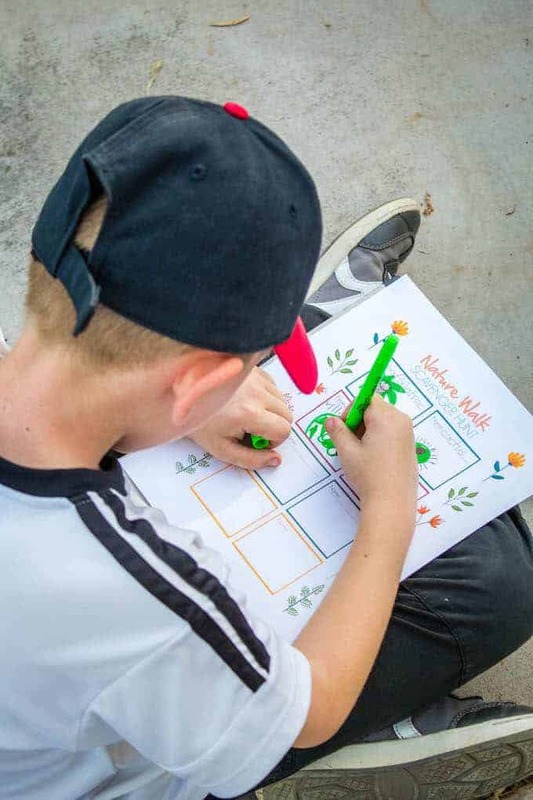 To make this something everyone will enjoy the best thing to do is make a scavenger hunt. 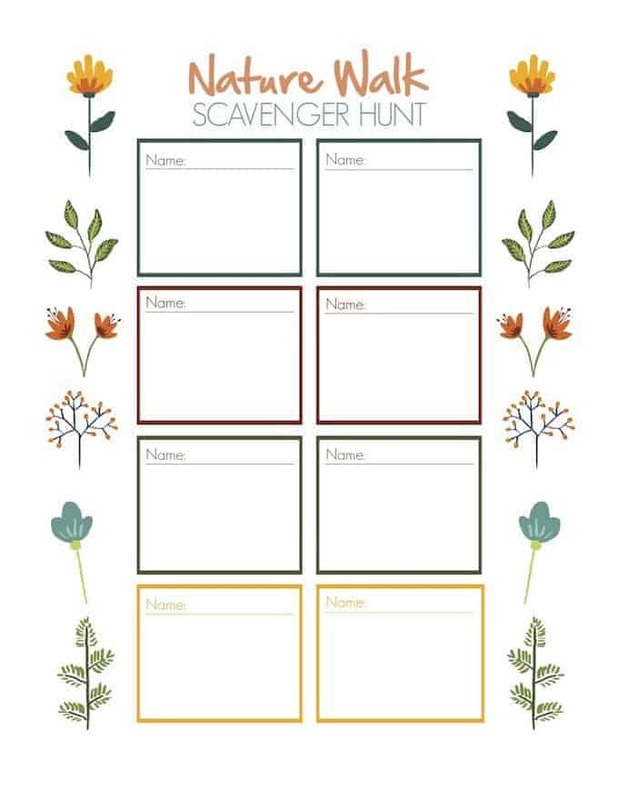 My family loves a nature scavenger hunt. Fun, simple and keeps everyone busy this is something that can be done anywhere, any time. 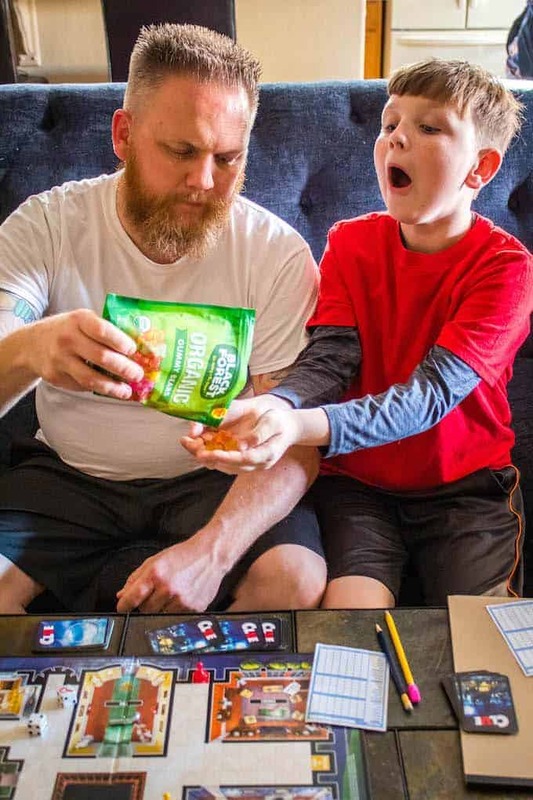 Instead of your typical scavenger hunt where everyone is finding things on the chart or list, we’ve made it where people draw in what they see, then to make a fun prize we give a gummy bear or two for each box they draw in. This is a perfect activity for those of your kids that like to stay busy and love to draw. I’ve included the printable that I’ve made to make it fun for our kids. This is something we did when the kids were younger and traditionally do in the summertime. We literally hang a white sheet from the back of our house and project a movie onto it. 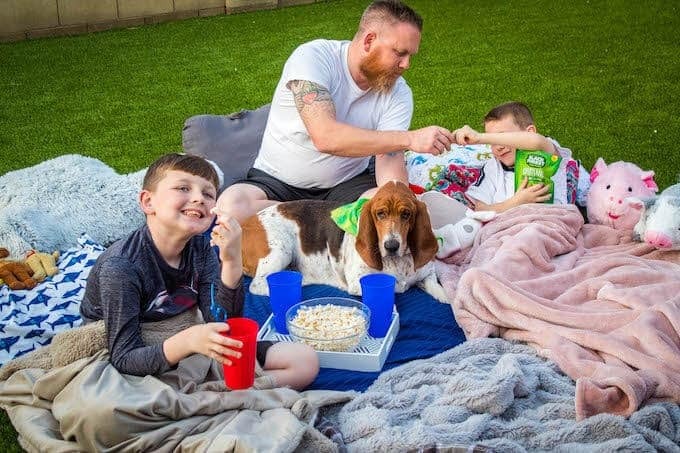 Whether it is a homemade movie the kids made earlier in the day (another fun activity idea) or one of their favorites. It’s a great activity to do to change things up a bit, it is also great to include other family and friends. This always ends up making for a fun evening. Hang a white sheet from your house, either using clips or clothespins to hang from the gutter. Find a projector that lets you connect your computer to play the movie. Let the kids select the movie conducting a family vote. 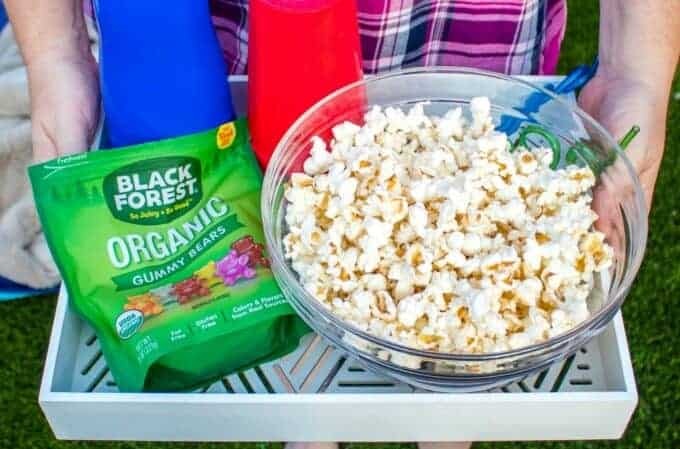 Make a fun-filled snack tray: we love popcorn & Black Forest Gummy Bears. Lay out lots of blankets and pillows. Check out the time the sun is to set that night and while you are setting up, get out the baseball or kickball and have the kids play a game. There is nothing like moving around and heading to the park. As your kids get older their idea of the park will change. It will go from going down their favorite slide to playing catch or a game of chase. The key to make it fun at the park is getting involved, be active and playful with the kids. 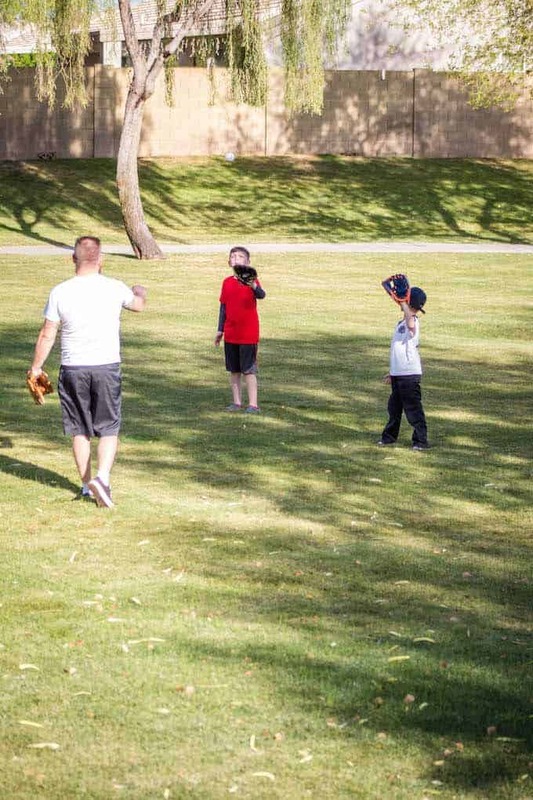 Be a part of the chase, grab a ball and glove and play catch or push them on the swings. Be sure to pack a snack and water bottles, this allows you to have more time at the park and be together. My kids are notorious for getting somewhere and all of the sudden be on the brink of starvation so I always make sure to throw in a bag of something they like and water bottles. While there are so many fun ways to get together as a family, these are a few that are fun at any age. 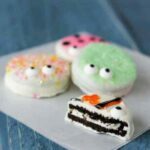 Whether you have toddlers, teens or the ages in between family activities can be fun for the kids and parents. The point to connect, be together and staying active. When it comes to choosing an easy snack, I lean towards Black Forest Gummy Bears. As I mentioned these are my daughter’s favorite and she actually introduced them to our family. When I went to Kroger to grab them I was pleasantly surprised to find they are made with real fruit juice and colored by real plant-based sources. Not only are they made with thoughtful ingredients, but they are incredibly delicious and juicy. Black Forest Gummy Bears come in original and an organic version. Black Forest Organic Gummy Bears are made from ingredients like cane sugar, lemon juice concentrate and carrot juice for color. I love brands and companies that use ingredients that I can find in my back garden to make their snacks delicious, tasty and natural. 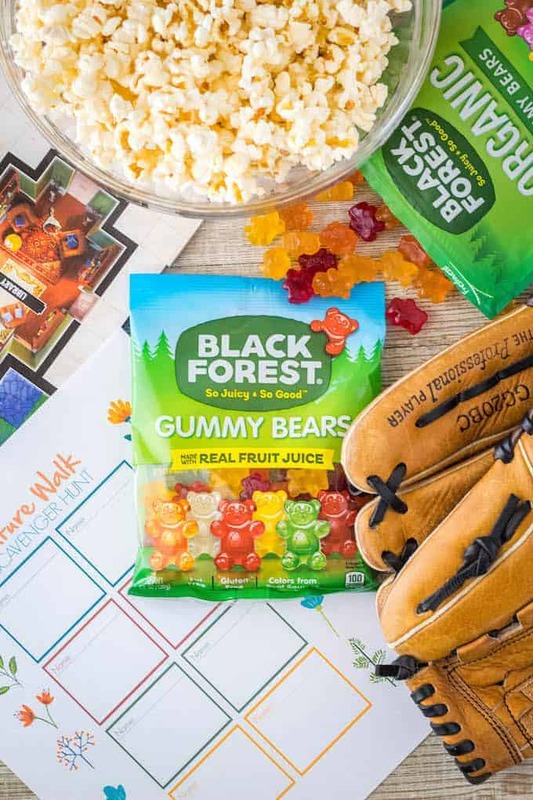 To learn more about sharing some soft and chewy gummy bears that your loved ones will love at first bite, be sure to visit Black Forest Gummy Bears’ website. Plus – BONUS – right now there is an ibotta offer good for $0.50 off one Black Forest Gummy Bears 4.5 oz bag through 4/20! So many fun ideas. We love game nights!! Such great quality time with the fam! These are all great ways to bond with your family! I have always loved going on hikes together and having an afternoon picnic! I love these ideas! And those are my favorite gummy bears EVER – they dont taste too sweet or fake! All gummy bears are NOT created equal! These ideas are making us so excited for summer! I know right! I cannot wait! You would be surprised….if you ask them and get one to say yes, the others usually follow! These were great tips! 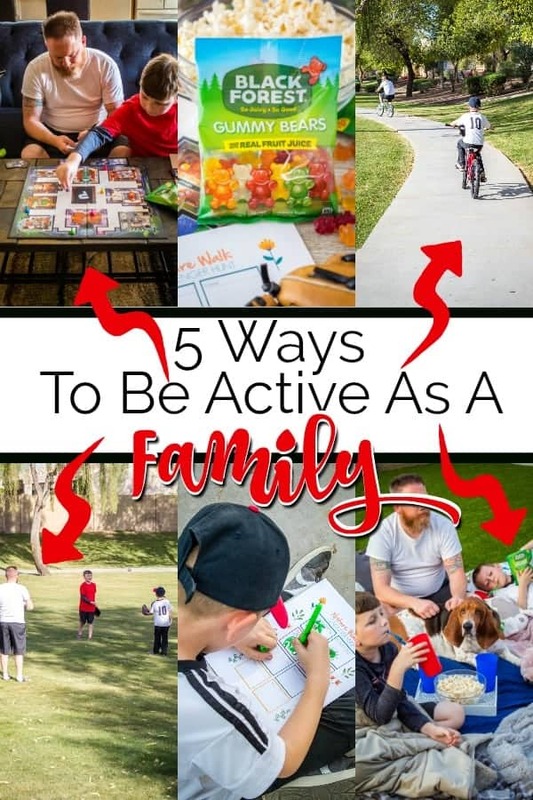 I need to be more active with my family and love these suggestions! These are all such great ideas. We love movie night and scavenger hunts are so much fun! I love the idea of doing a movie in the backyard!